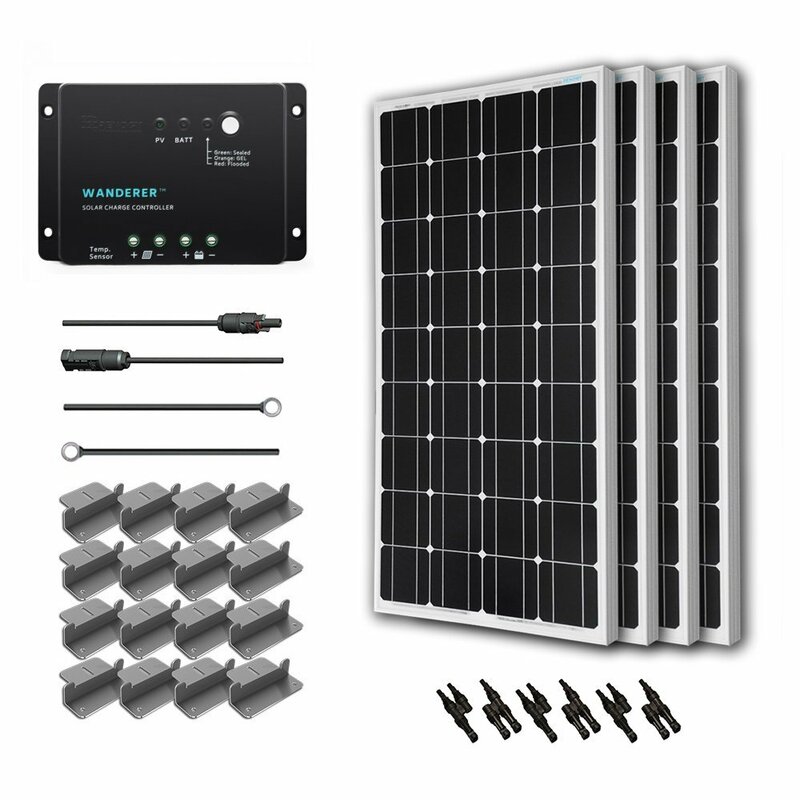 Start your solar adventure with a Renogy Starter Kit.Four Renogy 100-Watt monocrystalline solar panels can be connected in parallel by three pairs of branch connectors. 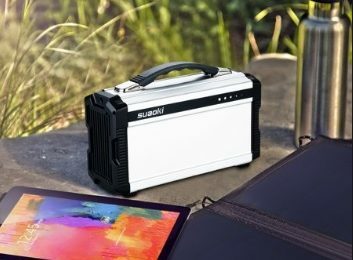 Ideal output: 2000Wh per day; can fully charge a 200Ah battery from 50% in 3 hours (depending on the availability of sunlight). 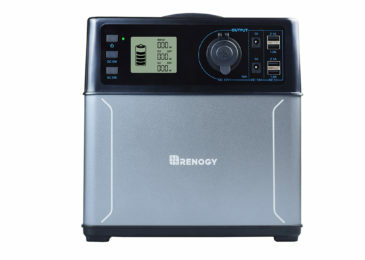 The charge controller has been upgraded to Renogy’ s new 30A PWM Negative-Ground Charge Controller – the Renogy Wanderer. One pair of 20 feet MC4 connectors adaptor kit extends the cables and makes the system ideal for remote control. 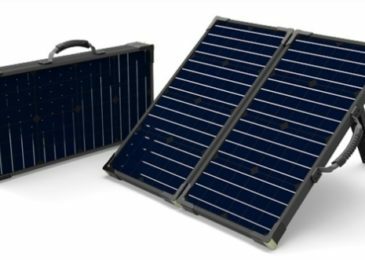 This kit comes a bit crowded but in a good way: four Renogy 100W 12V Monocrystalline Solar Panels, a 30A PWM Wanderer Charge Controller, a 20ft 10AWG MC4 Adaptor Kit, an 8ft 10AWG Tray Cable, three pairs of branch connectors, and four sets of Z-brackets. All that you need is here, and for the money given it better be working. Dimensions are 47 x 21.3 x 8 inches and the total package weighs 16.5 pounds. 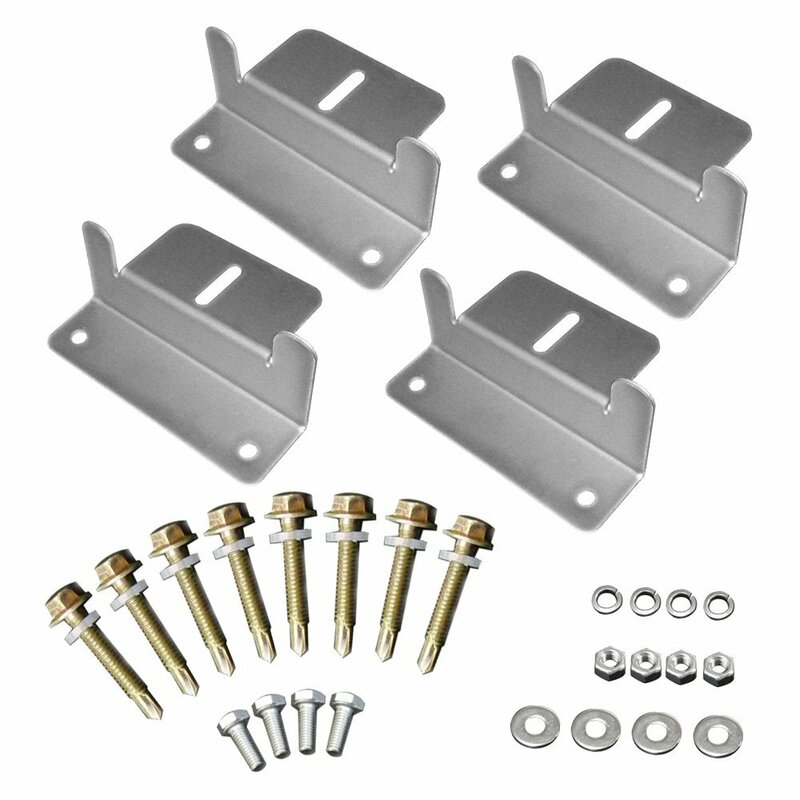 This kit comes with almost everything you need to charge a battery or battery bank that is either 12 or 24 volt. I was VERY pleased at the ease of installation and use. The controller was very basic and not hard to understand at all. I thank you for a TOP NOTCH system for both the entry level solar enthusiast. Perfect! 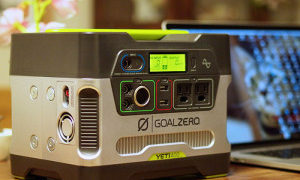 Off grid and doing what they said it would produce.